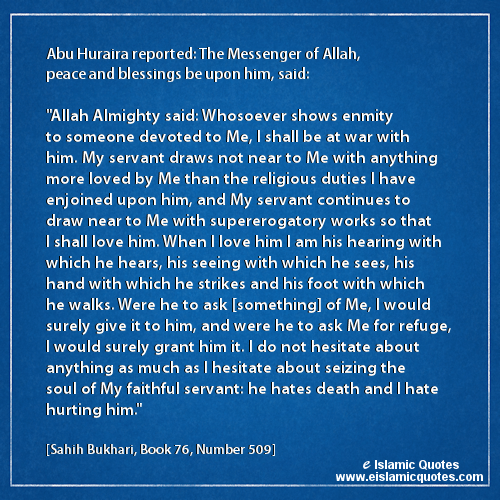 Verily, if Allah has loved a servant, He calls Gabriel, upon him be peace, and says, “I love so-and-so, therefore love him.” So Gabriel loves him. Then he calls out in heaven, saying, “Allah loves so-and-so, therefore love him.” And the inhabitants of heaven love him. Then acceptance is established for him on earth. 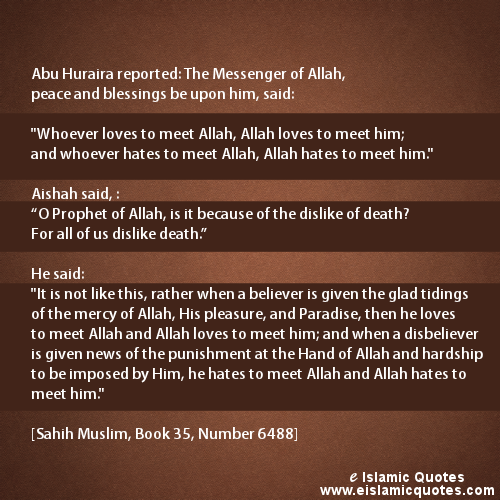 And if Allah has disliked a servant, He calls Gabriel and says, “I dislike so-and-so, therefore dislike him.” So Gabriel dislikes him. 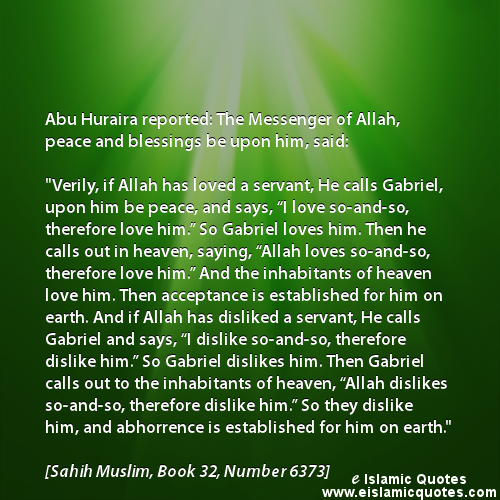 Then Gabriel calls out to the inhabitants of heaven, “Allah dislikes so-and-so, therefore dislike him.” So they dislike him, and abhorrence is established for him on earth.